Listen and download a file with the children’s message in morse code sent over the Alexanderson SAQ alternator to the leaders of the world on the UN Day 24th of October. Look further down how you can recieve the Morse code in different ways. Download the message in morse at www.unday.org. 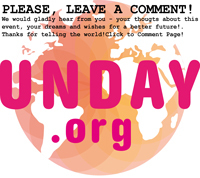 Download the file/message in Morse code from www.unday.org. With MRP40 active in your computer, run the audio file, which will then be decoded in real time by the program.You will hear the sound of the signs and see the corresponding, decoded letters emerging on the screen. For MRP40 to work properly, the number of words per minutes, WpM, is to be set by the plus- and minus knobs between Rx7.7 and Rx8.5. Then click in the field to lock the value. You can order a simple but effective SAQ receiver and get free information from: Arne Sikö, arne.siko@hh.se, phone +46-346-43843 or +46-70-2790048 . Turn the antenna to make the plane of the coil approximately align with the direction to Grimeton. Note that thick brick or concrete walls might considerably attenuate the signal, as will e.g. alumina walls. In such cases it is wise to locate the antenna close to a window, as large as possible. Connect a microphone to the computer and put it close to the earphone with good volume. While receiving the transmission, MRP40 is active and decodes the message. (Se “Computer version” above, point d for adjusting the WpM.) A nice feature with the program is that the input is saved in a logfile, where the decoded message can thus be enjoyed afterwards. If you know a radio amateur, let him/her help you decode with the analog reciever for long wave transmission. The message in grapics – try to decode it!! ALT 2 – Send your own message! Make your own message in text and translate it into morse code and listen to the results. This coded message, you can easily put copy and paste into the comment field below in our blog, or just copy and paste it on Facebook. THIS IS A MESSAGE FROM YOUNG STUDENTS IN GRIMETON,SWEDEN TO YOU, TO UN SECRETARY-GENERAL BAN KI-MOON, PRESIDENT OBAMA, OUR PRIMEMINISTER AND OUR HEROES AND IDOLS. CELEBRATE THEUNDAY WITH US AND FOLLOW OUR MANIFESTATION LIVE ON WWW.UNDAY.ORG. WE WISH EVERYONE A SAFE AND SUSTAINABLE FUTURE. TAKE CARE OF YOURSELF. 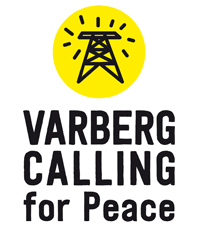 SIGNED: STUDENTS FROM GOETHRIKS SCHOOL, WORLD HERITAGE GRIMETON RADIO STATION, REGIONAL THEATRE HALLAND AND THE ALEXANDER-GRIMETON VETERANRADIOS VAENNER ASSOCIATION.